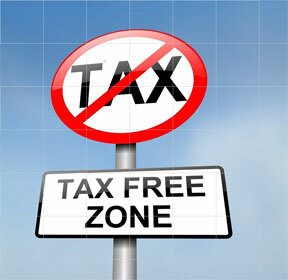 Bitcoin Gains Can Become "Tax-Free"
(NewsUSA) - The 2017 Reform Act of 2017 is starting to gain traction as former United States Congressman Mark Schauer (MI-07) suggest that the "Opportunity Zones created under the tax bill incentivize capital flow to businesses in low-income neighborhoods all over the nation. Investment of even a portion of unrealized capital gains will have an historic, transformative effect in distressed communities." Yet the challenge is how to find, research, track, manage and trade these tax-exempt investment over the ten years of the tax incentive. The Entrex Capital Market is one of the leaders building state by state Opportunity Zone Trading solutions, typically for the state economic development teams. Working together with local and state representatives, Entrex brings each opportunity zone to the forefront and can even allow investors to perform tax-free 1031 type of exchanges (including qualified bitcoin gains) into qualified assets in each Opportunity Zone, all through regulated market constituents. "Being in an Opportunity Zone and being a Service Disabled Veteran-Owned Small Business, or SDVOSB, allows us to help investors support our veterans, while focusing on the economic and employment growth our communities need - all on a potentially tax-free income and capital gain basis." Entrex helps to bring exposure to investors by offering the ability not only to buy debt and equity of companies, but also the potential of liquidity. "It's like the eBay or real estate's MLS for private companies," says entrepreneur Craig Rutkai of Florida. Similar to the way they managed over 200 transactions for companies in 2017 - each reviewed by the regulators - Entrex now offers a variety of alternative investors from real estate, gold and silver commodities, Opportunity Zones, and consumer debt. And potentially is there for government-backed airlines leases. Stephen H. Watkins, CEO of Entrex, suggests: "Back in 2015, when our Broker/Dealer managed the Overstock.com TIGRcub Bond - we helped manage the first security to ever trade on the Blockchain. Now every trade and interest payment we service can be pushed out." "It is an exciting time and the beginning of the democratization of private companies." To learn more about the Entrex Alternative Trading Portal capabilities, technologies and opportunity zone investments, visit www.EntrexCapitalMarket.com.